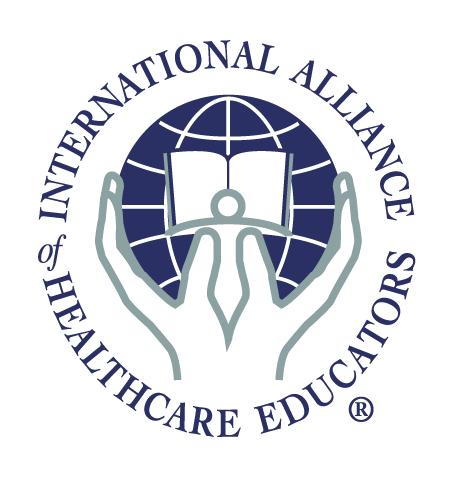 -Current, unrestricted licensure as an RN, LPN, OT, COTA, PT, PTA, MD, DO, ATC, DC or Massage Therapists who have completed 500 massage school hours and/or National Therapeutic Massage and Bodywork Certification. Each course participant will be trained in the four components of Complete Decongestive Therapy (CDT) and the management of lymphedema affecting the upper and lower extremities, head and neck, exterior genitalia, trunkal swelling, pediatric lymphedema, lymphedema caused by chronic venous insufficiencies and other pathologies, post-surgical and post-traumatic edema, lipedema and more. Upon completion of this course, participants will be able to differentiate between a variety of peripheral edemas and understand the medical indications and contraindications of CDT. Furthermore the therapist will be able to establish and perform a treatment plan for individuals with chronic extremity lymphedema and other conditions. The Complete Lymphedema Certification Course consists of 135 hours. Students will first complete a 45-hour Home Study Program, followed by the 90-hour class for their live lecture and hands-on instruction. The classroom time is taught over 7 consecutive days. It requires only 5 working days and 2 weekends to complete. Participants can also split the course, attending the first 6 days, then returning within 6 months to finish the last 5 days of the course. In preparation for the class you should complete the 45-hour home study and take the exam at the end of the program. Upon receiving your deposit, a confirmation package containing the course book and home study materials will be sent to you. The confirmation package will also contain information regarding the location of the course and any relevant travel and hotel information. -Bring your manual and textbook with you to class. -Two sheets to cover the treatment tables and draping. -Pen/Pencil/Highlighters, as these may be useful for highlighting your manual. All other class materials will be given to you on the first day of class. The Complete Lymphedema Certification Course is a total of 135 hours. Students will first complete a 45-hour Home Study Program, followed by the 90-hour class for their live lecture and hands-on instruction. The classroom time is taught over 9 consecutive days. It requires only 5 working days and 2 weekends to complete. If necessary, participants can split the course, attending the first 5 days, then returning within 6 months to finish the last 4 days of the course. 1. Select the course date and location of your choice from our Schedule of Courses and register. Students MUST register for the course at least 2 weeks prior to the start of the course. This is to ensure the student has adequate time to complete the Home Study Program prior to attending the course. 2. Once the registration is received and processed, we will ship the necessary home study materials, along with the online portal access information to complete the 45-hour Home Study portion of the course. 3. Students prepare for the theoretical portion of the program using our Home Study/Online Portal. Our online portal contains 7 learning modules and a final exam. Students study each module and complete a practice exam at the end of each module. Once all modules have been studied, and the student is prepared, they will complete the final exam which is graded. Students must pass the final exam with a grade of 90% or better. 4. Prior to attending the 90-hour live portion of the course, each student must complete and submit a Student Application, along with a copy of their professional license. These documents can be faxed to us at (772) 589-0306. 5. Three additional exams are administered during the classroom time. If the student successfully completes the 135 hours of study and passes all of the exams, the student will be a Certified Lymphedema Therapist (CLT). The tuition for the Complete Lymphedema Certification course is $3150.00. A minimum deposit of $900.00 is required at the time of registration and will secure your spot in the course. The balance of the tuition is due thirty (30) days prior to the first day of class. We offer an early registration discount of $250 if registered 60 days or more in advance. Financing options and payment plans are available if needed.